Hong Kong, 9 April 2018 | Six FinTech startups from across Asia and around the world kicked off DBS Accelerator in Hong Kong this year, seeking to shape the future of finance with innovative solutions in enhancing the customer’s digital journey, data analytics, as well as compliance transformation and more. The six startups are CUBE, cyberProductivity, DOV-E, Fractal Labs, Hyper Anna, and Privé Technologies. This brings the total number of DBS Accelerator participants to over 30 since the DBS Bank (Hong Kong) programme’s successful launch in 2015. All of the programme’s startup alumni have successfully secured funding support or expanded their business in Hong Kong as a result of their participation in DBS Accelerator. DBS, which marks a milestone 50th anniversary in 2018, continues to be a pioneering force in transforming the way banks serve, engage and interact with customers through FinTech innovation. 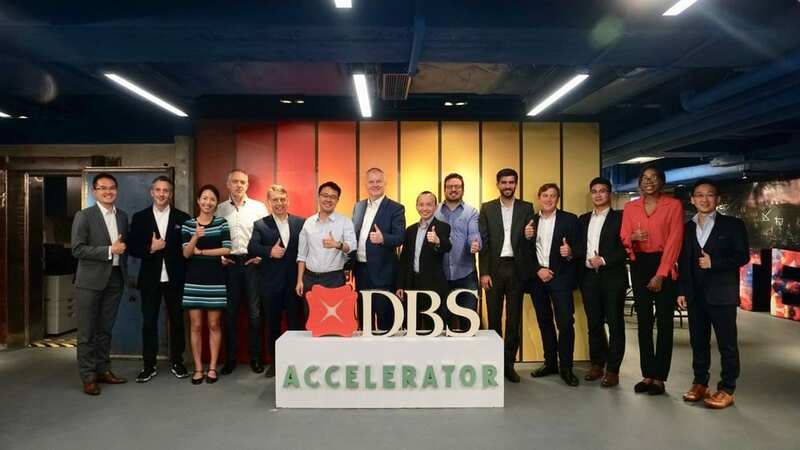 DBS Accelerator is a collaborative initiative between DBS Bank (Hong Kong) Limited and Nest, a global innovation platform supporting entrepreneurs. The “always-on” accelerator programme is housed in “The Vault”, a state-of-the-art 5,000-square foot workspace in the heart of Wan Chai. Participating startups have access to vast resources and mentor support, and are guided through their business growth and development. DBS Accelerator is also supported by industry leading partners, including Amazon Web Services, Bird & Bird, HKUST Business School, IBM, InvestHK, and Thomson Reuters. Ovolo Hotels is the programme’s accommodation partner. Founded in 2010, Nest builds innovative platforms to support entrepreneurs on their individual journeys. We’re doing this because we believe the best path to achieving positive impact is to fuel the entrepreneurial spirit and empower founders on their mission to achieve the extraordinary. Nest Innovation delivers a range of transformational programmes including accelerators, innovation challenges, and thought leadership series for entrepreneurs and corporations. Nest Ventures is a seed to growth stage venture capital firm specialising in startups developing impactful world-changing technologies. Mettā is a members’ club for the global entrepreneurial community with the singular purpose of driving business through collaboration. Nest is headquartered in Hong Kong with a global network spanning Singapore, Bangkok, Seoul, Nairobi, Paris, and London. With its extensive network of operations in Asia and emphasis on engaging and empowering its staff, DBS presents exciting career opportunities. The bank acknowledges the passion, commitment and can-do spirit in all of our 24,000 staff, representing over 40 nationalities. For more information, please visit www.dbs.com.